Want it by Wednesday 24th April? Order within 3 days, 37 minutes and choose Royal Mail 24 Hour Delivery at checkout. Create a statement by adding a gorgeous Tweedle Novelty Keyring to your handbag and keys, providing a cheerful and jolly style. 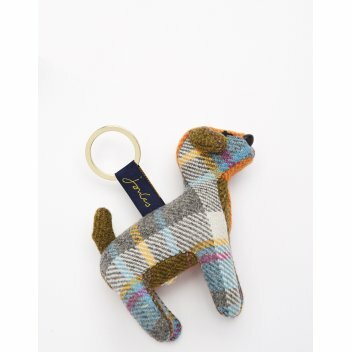 We adore the charming character accessory, complete with stylish tweed offering a contemporary country look.